Storm Force. The awesome water ride at Drayton Manor with 3 drops, including 1 backwards, will get you wet. Jamster however didn't appreciate this fact assuming it would only be a little splash and he wanted us all to go on it Sunday afternoon. 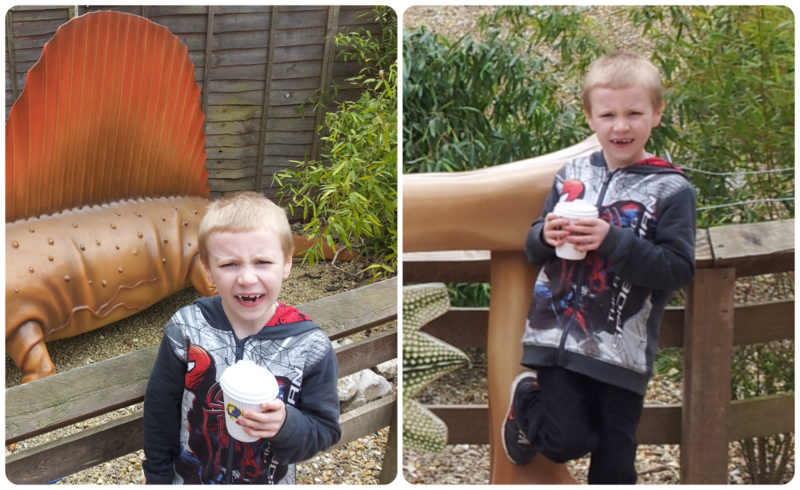 He called us chickens and wandered about clucking so eventually we followed his instruction and went on, despite not being keen on the idea of getting drenched before we wanted to head to the zoo area! He got off lightly but Minxy and I, sat behind him, were completely soaked through to our underwear and our trainers squelched for the remainder of the day. 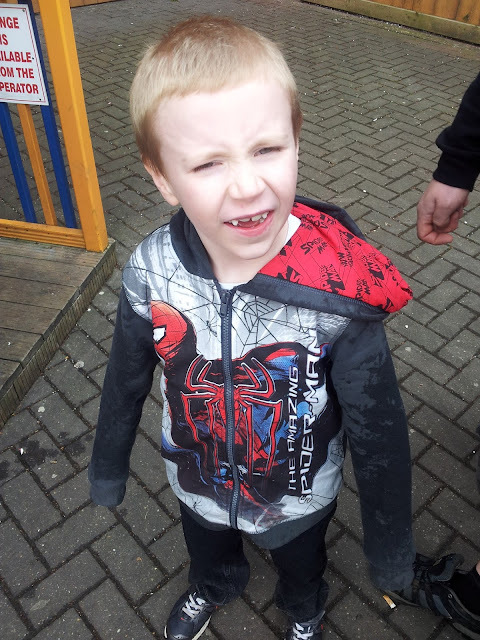 However, he wasn't very pleased with drenched jeans, wet arms and a soggy back at all - maybe mum knows best after all! He would give Dracula a run for his money! Have your little ones learnt the hard way? Haha!! Ohhh I can remember being drenched very well - and you end up smelling all day long. Brilliant vampire impression! Particularly love his teeth - very authentic! He does makes a rather cool vampire though! When you're going to look like a vampire for a couple of weeks you've got to make the most of it!